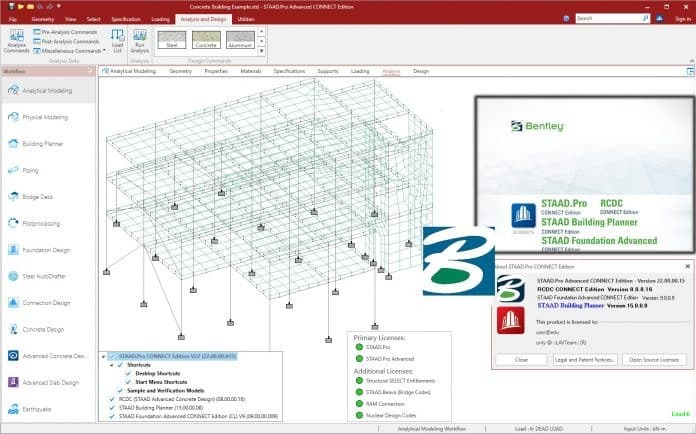 Perform comprehensive analysis and design of building structures of any type faster than ever with STAAD.Pro CONNECT Edition. Simplify the progress of work with BIM using the physical model in STAAD.Pro, which is automatically converted into an analytical model for carrying out structural calculations. Confidently exchange synchronized models with your multidisciplinary project teams and, most importantly, develop safe and economical projects. STAAD.Pro is a basic version of STAAD, including finite element analysis and physical modeling. STAAD.Pro Advanced offers a more advanced and comprehensive analysis. Structural Enterprise combines the most popular building applications into one profitable license. Confidently design structures made of steel, concrete, wood, aluminum and cold-bent steel all over the world, using more than 90 of the built-in international design standards, regardless of the STAAD option chosen. Automatically convert your physical models to analytical models to optimize work flow. 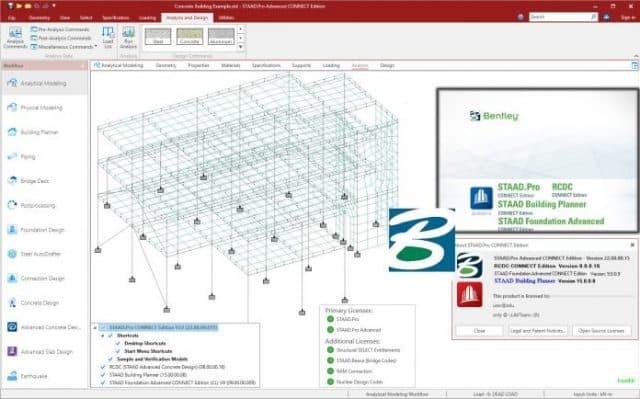 Improve work in multidisciplinary teams thanks to the compatibility of Bentley console, cloud and mobile applications, in particular AECOsim Building Designer, AutoPIPE, Revit and Tekla. Simultaneously compare various alternative project options using STAAD cloud services. Design for seismic areas and normal conditions using finite element analysis.